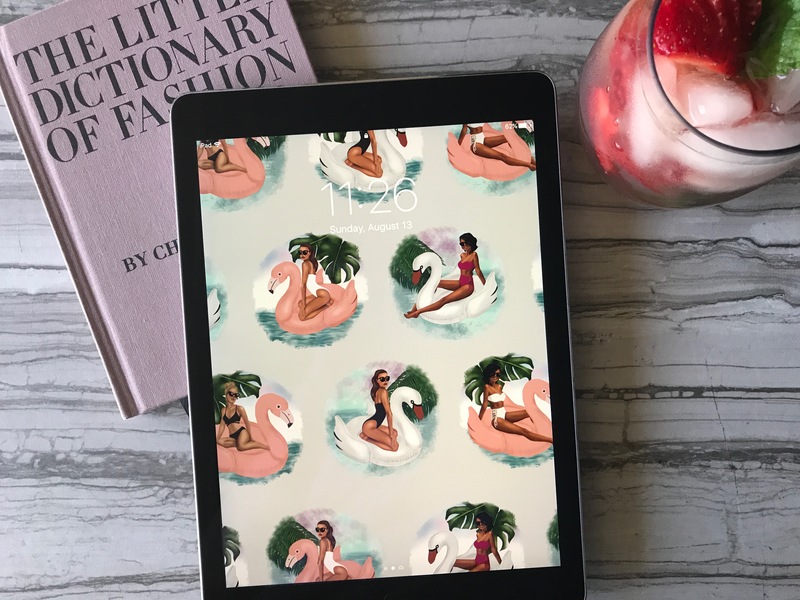 Dress your tech with this fun summer themed wallpaper that you can use on your phone or tablet. Few things are more quintessentially summer than spending the day at the pool. And these fashionistas on floaties are the epitome of summertime vibes. Regardless of whether you’re posing on a flamingo or relaxing on a swan, it’s impossible not to look fierce and flirty. Feel free to download this wallpaper for use on your tablet and/or phone.